Students with a high Key Stage 2 Test score (i.e. one that places them within the top echelon of their year group) are invited to join an extensive programme designed to develop all the skills needed to access the top universities. By engaging in debate, discussion and relevant academic and enrichment activities, the aim is to fortify students’ ability to think rationally and articulate a line of argument. It’s not about homework or written class work; it’s about developing a well-rounded and confident individual. Research has shown that regular engagement with current affairs, highly academic activities and extra-curricular activities will encourage them towards independent thinking, balanced viewpoints and good communication skills; such activities increase the likelihood of them achieving the highest grades at GCSE. For older students benefits include our partnership with The Brilliant Club and The UEA, thus ensuring that our More Able students are also acclimatised to university level discussion and that they are better prepared emotionally and intellectually for university, including Oxford and Cambridge. Sessions and activities run throughout the academic year. For more information, please contact our More Able Co-ordinator (Mrs Lucy Engledow) or refer to our More Able Policy and associated Academy Calendar. Within the curriculum, we have been working to extend the expertise of our staff in providing a rich and varied range of activities/topics specifically designed to extend our More Able students. Teaching strategies have been developed to include different intelligences, learning styles and questioning. English & Mathematics – setting in years, starts by October Half Term in Year 7; sets are continually monitored and adjusted as required, with additional sets in Years 10 and 11. Other EBacc subject areas (Science, MFL and Humanities) – all year groups will be set from September 2018, starting in the first half term of Year 7; sets will be reviewed three times a year. Individual programmes (such as the IFS and Statistics) are designed for particularly outstanding students in Year 11. More Able students are offered separate GCSE courses in Biology, Physics and Chemistry. 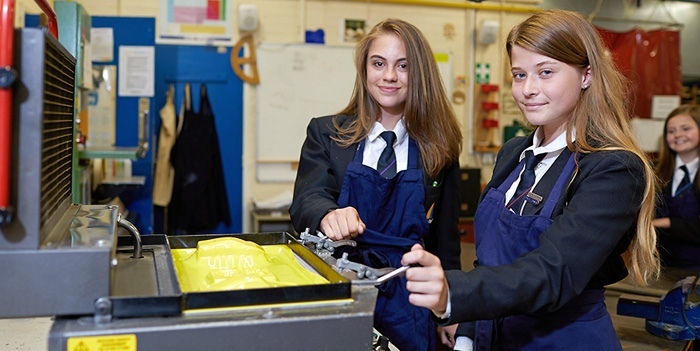 The academy operates a “guided options” system, where More Able students are expected to take the full EBacc suite of qualifications at GCSE. Advanced texts and equipment are being developed in all subject areas. Curriculum-related revision courses and master classes are regularly offered to support the More Able. All subject areas include More Able provision (as part of their wider commitment to differentiation) within their schemes of work.